Diesel Forum - TheDieselStop.com > Vendors > CARiD.com > The newest promotional offer on Pace Edwards covers at CARiD - Save up to 5% Off! The latest promotional offer from Pace Edwards makes adding a grade-A quality tonneau cover on your Ford truck easier than ever before! 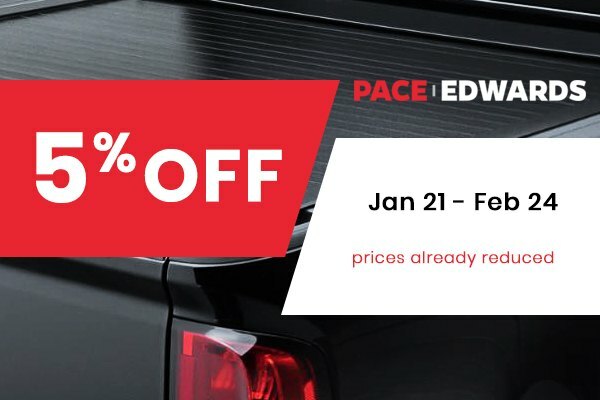 Till February 24, 2019, take advantage of our freshest promotional offer on all Pace Edwards Tonneaus. Each tonneau cover developed and engineered by Pace Edwards is manufactured using the top-grade materials only with excellent fit and maximum durability in mind. They offer quick and hassle-free installation and retract smoothly and easily. You can install them right out of the box as they feature no-drill installation and convenient clamp-on design. Pace Edwards Tonneaus are durable, water-resistant covers that will securely shield your belongings from theft, dirt, and moisture. Gear up your truck with the best quality protection products only with Pace Edwards at CARiD.com. Prices are already reduced, so hurry up!